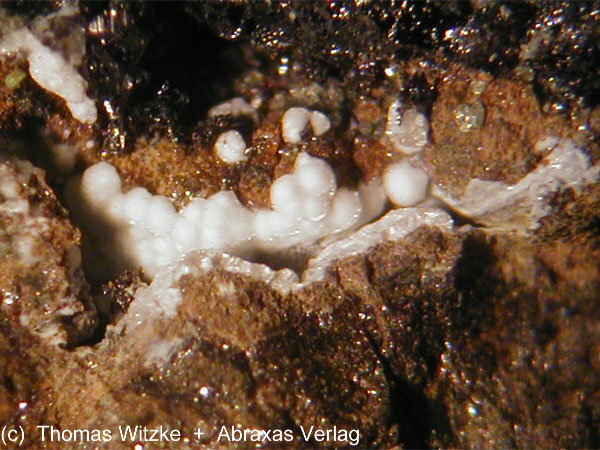 Comments: Silky white aggregates of brianyoungite with small yellow crystals of sulfur on sphalerite. Location: St Johannes Mine, Wolkenstein, Erzgebirge, Saxony, Germany. Scale: Picture size 3 mm.